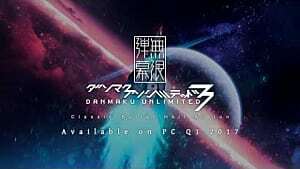 With today's release of Danmaku Unlimited 3 (DU3), we got a chance to chat with its developer Sunny Tam of Doragon Entertainment. We get to pick his brain about his influences, game development history, and more. We also get to find out what makes his brand of shmups (shoot em ups) so entertaining and thoroughly challenging. For a bit of history, his previous title, Danmaku Unlimited 2 on steam in 2014. 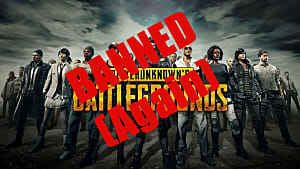 Over time, it has received many very positive reviews with players and critics alike. 3 years we have a sequel that indie action fans have been waiting for. Sunny also provides us another perspective in the world of indie game development. Namely, the unique challenges that arise with essentially out doing yourself. GameSkinny (Jeffrey): What educational influences, or otherwise, lead you to become a game developer? Were there any particular influences people would find interesting? Sunny Tam: Honestly, it was mostly laziness and luck that got me there. My university's co-op program would try to fill your work placement if you didn't find one before the end of the semester. I just didn't bother with looking for one (World of Warcraft was consuming my life at that point!) until they automatically placed me with a local game studio as a programmer. I did always muse about making games growing up but I don't think it would have happened if I didn't gain all that industry experience during my co-op placement. GS: Your development history is one that consists of impressive shmups. So why the focus on the genre of shmups? -- Was this your favorite genre growing up? ST: Shmups -- I feel is something focused enough that a small dev can deliver a really polished experience with very limited means. During the development of the first Danmaku Unlimited, I was pretty into Touhou and Cave games. So, I wanted to create something that can measure up to those lofty standards. I think with DU3 it has finally gotten to the point where it is graphically and mechanically polished enough for me to be happy with the results. Growing up I played a lot of RTS such as Total Annihilation, Homeworld, Warcraft, and etc. Although, side-scrollers is a genre that I look back on most fondly. Titles like Metal Slug, Philosoma, and Area 88 being some of my favorites. Philosoma in particular, I feel is really underrated as it had great atmosphere/soundtracks and tried to do some very interesting things with perspectives. GS: For those unfamiliar, your tasks are that of sole director/developer/programmer. What is the most difficult aspect of work for you? -- The artwork, sound design or programming? ST: One of the more difficult things to do in development is making the different design aspects come together and gel into a polished product. Programming for the most part has an objective finish point, as long as the code does what it is supposed to. However, one could spend days if not weeks making sure the music, bullet patterns, and the rest of the subjective aspects all work together to hit the right tone and feel. GS: Danmaku Unlimited is not an easy series of games. Most Japanese inspired shmups I've played ignore being easy. However, you've created titles vets and newcomers can play. Could you provide details as to how challenging it was to create that balance? ST: A lot of shmups, and in the earlier entries of DU as well, handled it by simply reducing the bullet count. This brought down the difficulty but also tended to remove a lot of the 迫力 (a feeling of pressure/intensity) that makes bullet hell fun to play. 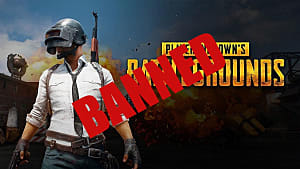 So, the challenge became how to maintain that feeling while making it manageable for newer players. The SPIRIT/GRAZE System in DU3 approaches this by leaving the bullets of defeated enemies as "ghost" bullets that the player is encouraged to touch for game play benefits. This not only helps to maintain visual density but also creates a risk vs reward balance. This then encourages players to aggressively move to collect the ghosts bullets while weaving through harmful ones. GS: The Danmaku titles as scored by Japanese indie circle Blankfield. Their music is rock heavy & very fitting. How exactly did you come to work together? ST: I came across his music while searching for Touhou remixes on YouTube and just took a shot and e-mailed him to see if he was interested in making some tunes for DU2. A friend help me translate what I wanted to say into Japanese and luckily, he knew English well enough for us to understand each other! He does great work and Danmaku Unlimited 2 definitely owes a lot of its popularity to his awesome soundtracks! GS: So with games the conversation of difficulty seems to stay the same. Games that are too easy are booed and games that are too hard are waved off. At the same time, you have small communities that love them. From your perspective, do you think this will change? 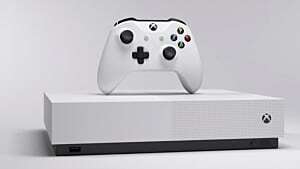 ST: I think that is fine as long as games stay true to their objectives. Games like VA-11 HALL-A can be said to be extremely easy but it wasn't created to challenge the player mechanically but rather to be more thought provoking. At the other end of the spectrum, you can have games like Super Hexagon which boils down mechanical challenges to its purest form. 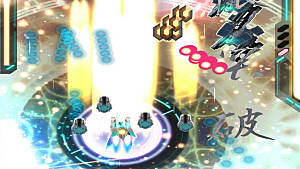 GS: What shmups of the past inspired Danmaku Unlimited 3 and the series directly or indirectly? ST: The Danmaku Unlimited series in a nutshell is really a fusion of Dodonpachi and Touhou style game play -- so those two series were definitely a major influence. Stylistically, I really like the atmosphere of Philosoma and Ikaruga and their approaches in conveying their stories and themes, so I think you will notice their influences in DU3 as well. GS: When you began development for DU3, what was the first aspect of the game you choose to address? The stages? Bosses? The sprite work? ST: I was inspired by the sprite rendering technique in LUFTRAUSERS. Thus, creating the dynamic sprite rendering engine for DU3 really gave me impetus to move forward with development. It gave the game the necessary jump in visual quality to warrant a new entry in the series. The flat sprites in DU2 I felt had a lot of room for improvement. So this new engine procedurally assembles and rotates compound sprites. This gives DU3 a more unique look that appears 3D but retains the feel of traditional 2D sprites. 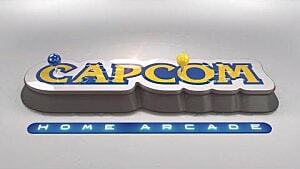 GS: Any surprises, easter eggs, & or specials with DMU3 we might find interesting to find? ST: It's not much of a surprise but a bit of the story elements changes if you are on track to face the True Last Boss, so it's a neat little way for the players to tell if they are doing very well! GS: I know its early but what's next? Will we hear about your next project soon? ST: I have a lot of ideas already! But first thing I would probably do after handling the ports for DU3 is to just relax and make some fun little games on the phone that are more lighthearted and are quicker to develop. Working on the same game for 2+ years as a full-time indie dev is really emotionally and financially draining! STGs (also known as shmups) and bullet hells are genres that tend to have a lot of conventions that are expected to be followed. So I'd like to work on something that is a little bit less defined in that regard. 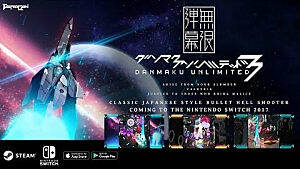 Though it's pretty safe to say that at some point in the future there should be a remastered version of the original Danmaku Unlimited of some sort! We would like to thank Sunny for his time and providing a lot of insight. 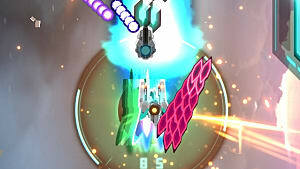 If you like shmups or if you would like to get into them, I highly recommend Danmaku Unlimited 3. Actions fans can look forward to its release on Steam today. 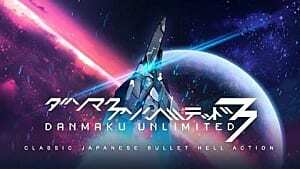 Danmaku Unlimited 3 -- The Only Shmup You'll Need?